Let me just remind you that I am not a chef or anything resembling a chef. I am just a girl that likes yummy food and trying new things in the kitchen. One of those new things was fresh parsley. I know I know such an everyday herb, but truth is I have never cooked with fresh parsley before. 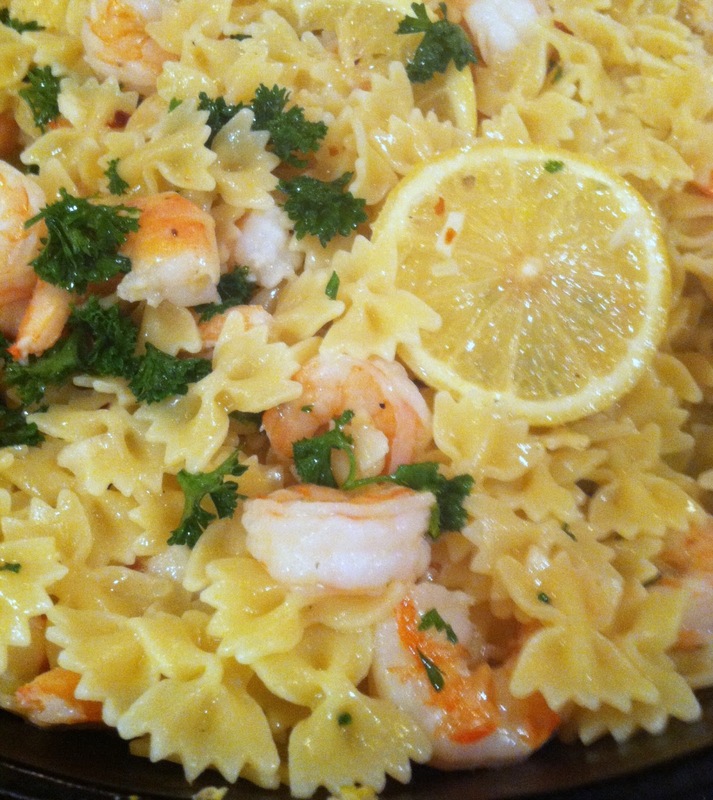 but I am calling it…Beachy Shrimp Pasta! 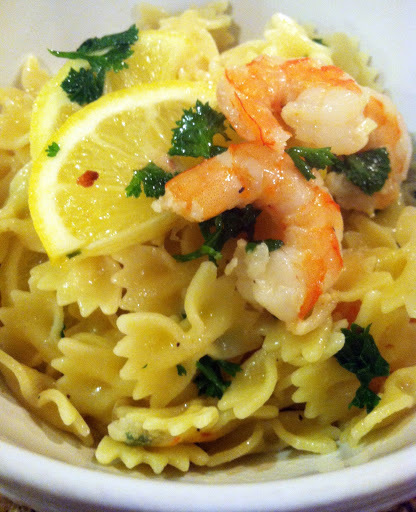 Despite the ho hum Atlanta weather, with one bite this pasta brought me beach-side. Suddenly I was sitting with my toes in the sand, beach breeze on my skin and the warm sunny sky covering me. In a large (12-inch), heavy-bottomed pan, melt the butter and olive oil over medium-low heat. Add the garlic. Saute for 1 minute. Add the shrimp, 1 1/2 teaspoons of salt, and the pepper and saute until the shrimp have just turned pink, about 5 minutes, stirring often. I promise to always use fresh parsley and to slice fresh lemon straight into dishes from now on. OMG this looks amazing! 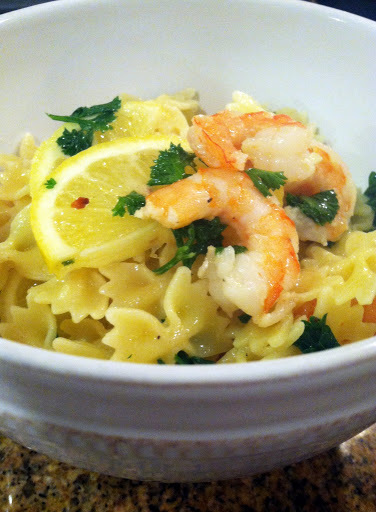 If I liked shrimp I would totally make this. Thanks for posting girlie!! !